New Opportunity School for Women Foundation and the family of NOSW Programs are changing lives of Appalachian women and their children. Scholarship Fund Is Available to NOSW Program Graduates from All NOSW Programs. Click here to learn more about the Scholarship Fund, to download an application, or to find out how friends and donors can help grow the NOSW Foundation Scholarship Fund to serve more NOSW Program Graduates. ​One day in 1987 Jane Stephenson received a phone call from a friend on behalf of an Appalachian woman in great need—an Appalachian woman with no employment experience and little knowledge of the world beyond her family. Jane's friend asked: Did Jane knew of a program that could help this woman learn to cope with her predicament? Then a coincidence that seemed providential occurred, and the seed for the New Opportunity School for Women (NOSW) was soon planted. A foundation executive looking for innovative ideas called Jane's late husband, John Stephenson—president of Berea College at that time. 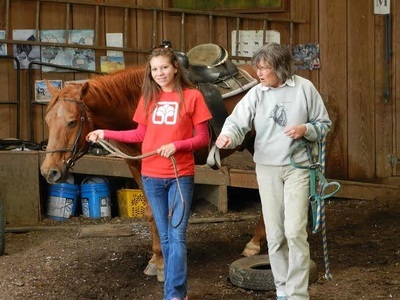 Jane wrote a grant proposal that won startup funding for the New Opportunity School for Women and made possible the implementation of Jane's vision to improve the lives of Appalachian women in need. 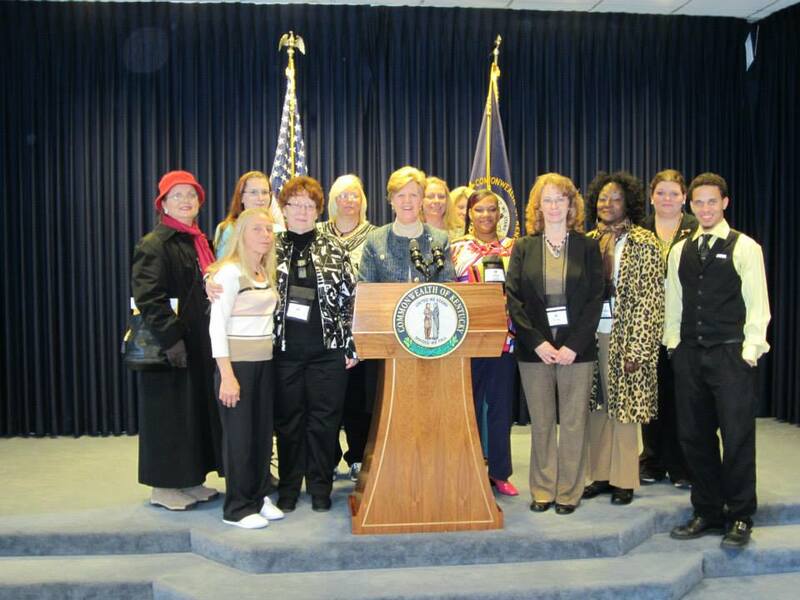 The first New Opportunity School for Women was established in Berea, Kentucky. 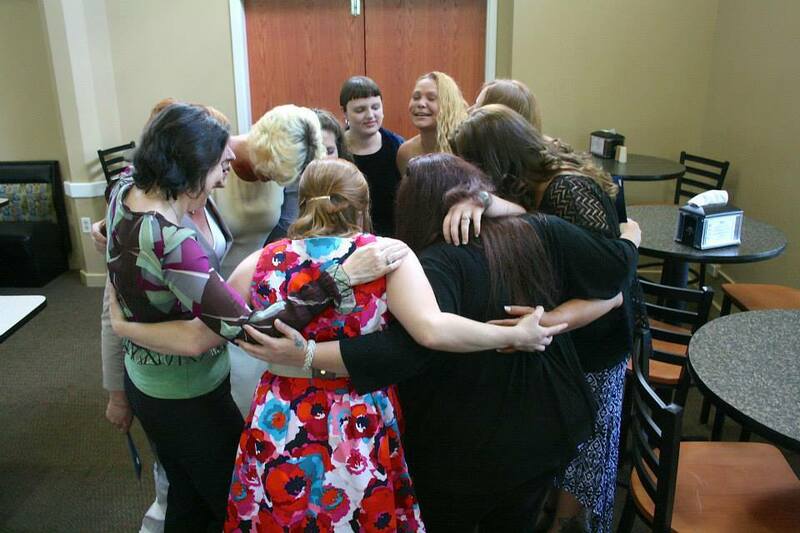 Now there is a family of NOSW programs in communities in Central Appalachia. The New Opportunity School for Women Foundation was established in 2010 as the umbrella organization for support, expansion, and oversight of the current NOSW program sites located in Kentucky, North Carolina, and Virginia/West Virginia, and of all future NOSW program sites. 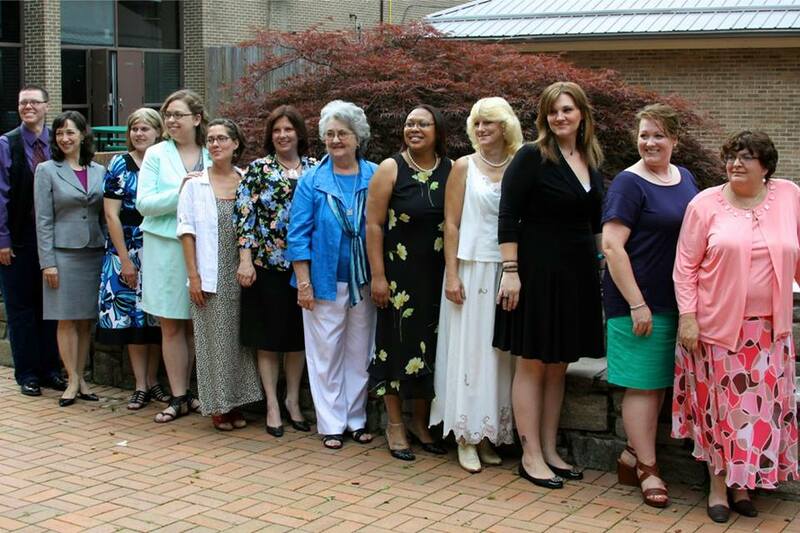 Over 800 women have graduated from the NOSW family of programs since Jane founded it almost 30 years ago for high potential Appalachian women who are determined to improve their lives and shape a fulfilling and successful future. 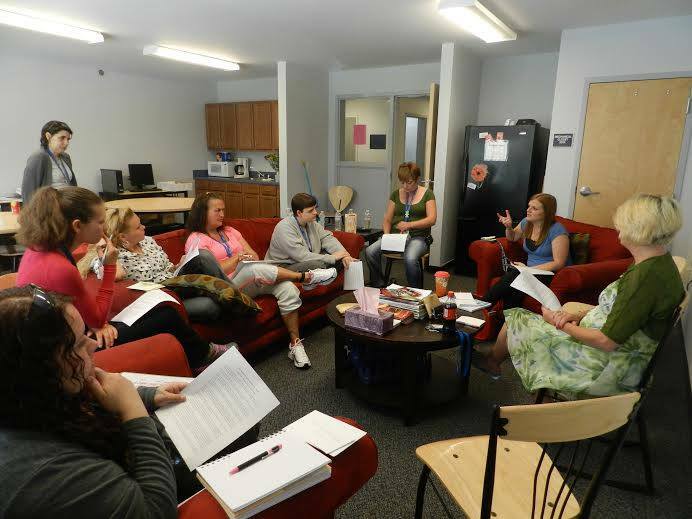 Women participants attend a three-week residential program at one of the NOSW program sites for free—no tuition, no fees and no expenses for books or materials. ​Learn more about the NOSW history in Jane Stephenson's book, Changing Lives in Appalachia, available at local bookstores and online through multiples sources, including local independent bookstores. By leveraging hope, together we can make a difference. Your gift today will help improve the lives of Appalachian women in need. 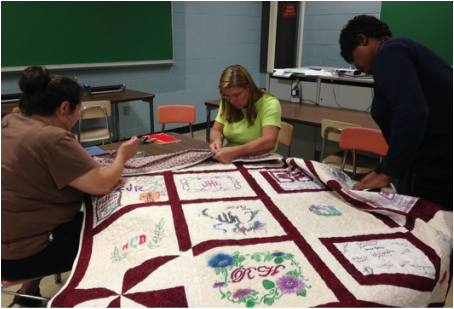 Women of the NOSW at Maryville College working on their story quilt. The New Opportunity School for Women Expressive Arts Curriculum is designed to help empower NOSW women and increase their sense of competency. 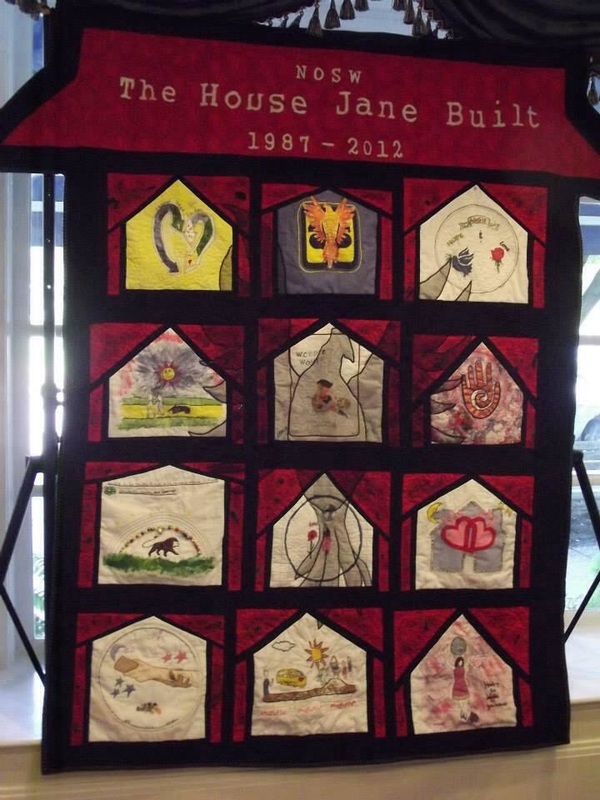 The Story Quilt experience, which was initiated at NOSW Lees-McRae, is used to help the women explore their own personal stories, to create a shared story in the form of a quilt, to create a visual record of their unique contributions to NOSW, and as a gift to the school and future participants. NOSW women are asked to visualize an image that is representative of their own personal story. It can be an image of the transformation they are undergoing at NOSW, something they want to let go of or hold onto, an image of the true self, or a particular story that represents each individual.This photo of a NOSW story quilt is the cover image for the book Changing Lives in Appalachia by Jane Stephenson. NOSW Program women learn computer and career development skills. 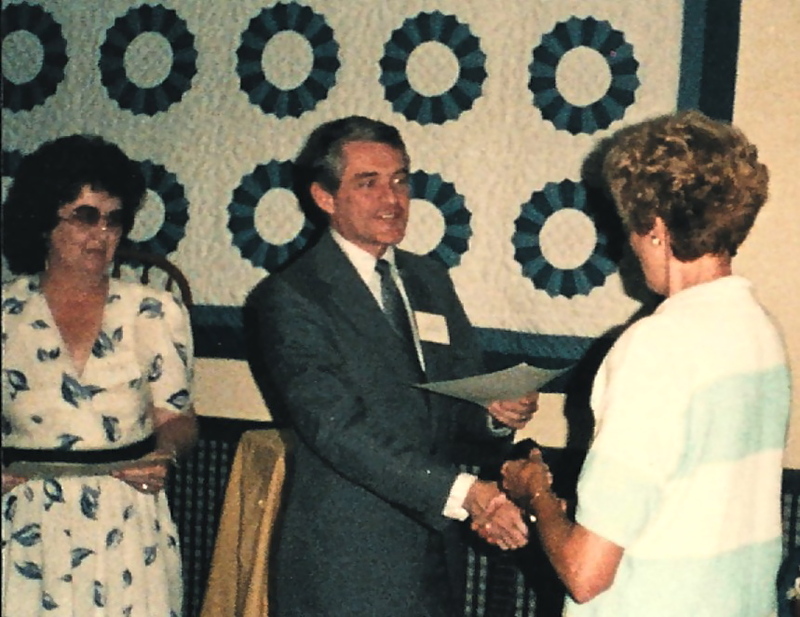 Jane Stephenson and John Stephenson (Jane's late husband and past-president of Berea College) presenting certificate to NOSW Berea program graduate. 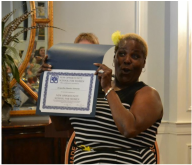 "I would have never been at Berea College had it not been for my transformation at the New Opportunity School for Women!" NOSW Berea graduate, Patti Trish Jones-Watson, pictured here with NOSW Founder, Jane Stephenson, and Dr. Lyle Roelofs, President of Berea College. 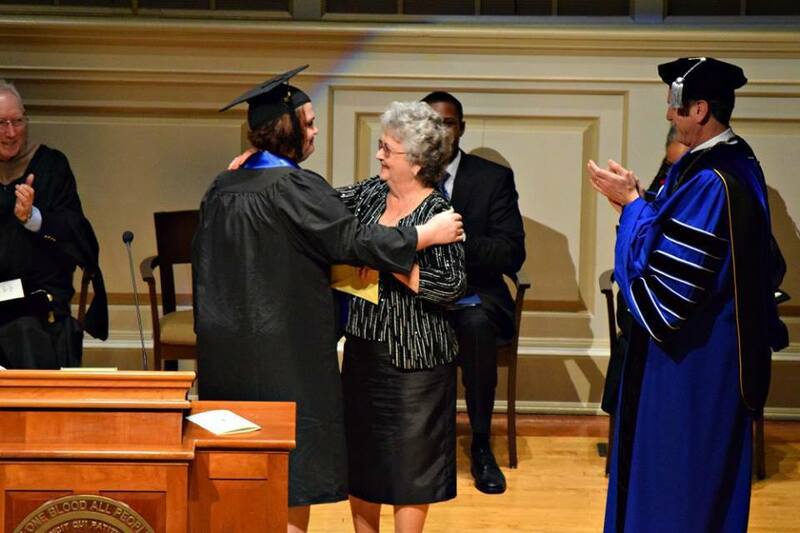 ​Congratulations to Patti Trish Jones-Watson upon her graduation from Berea College on December 13, 2015! Patti is a Summer 2011 New Opportunity School for Women Berea graduate. Continue on your courageous path, Patti! Congratulations to Sandi Keaton-Wilson, 1995 NOSW Berea graduate, on the publication of her poem, "Lyrical," in Kentucky Monthly! 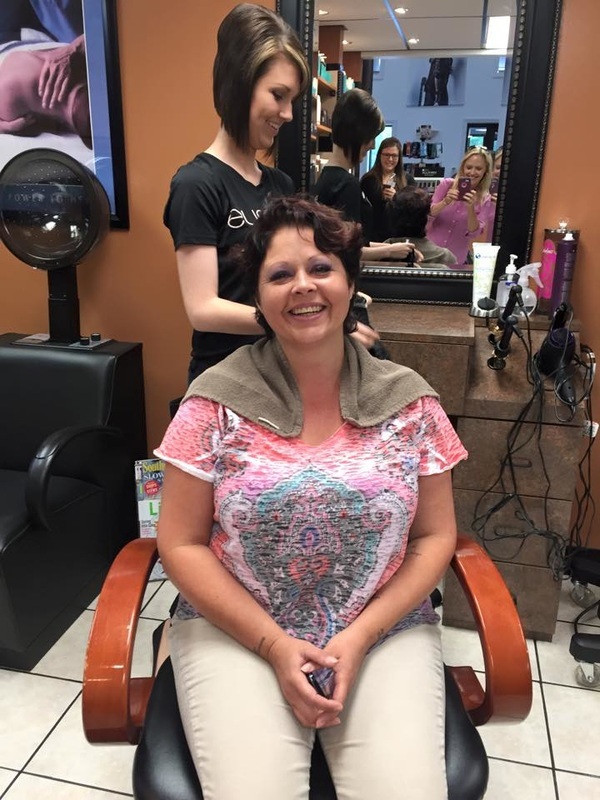 Sandi's work was chosen in this year's Kentucky Monthly competition. 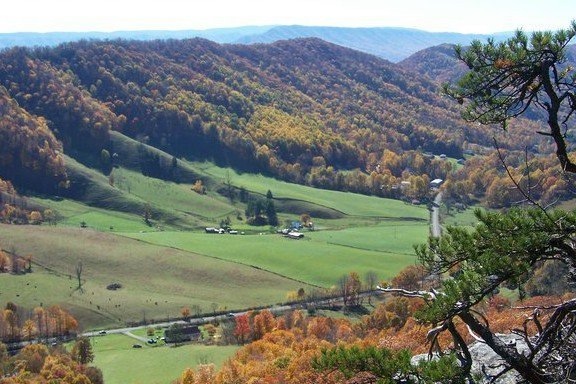 Enjoy this beautiful Appalachian and Kentucky voice! 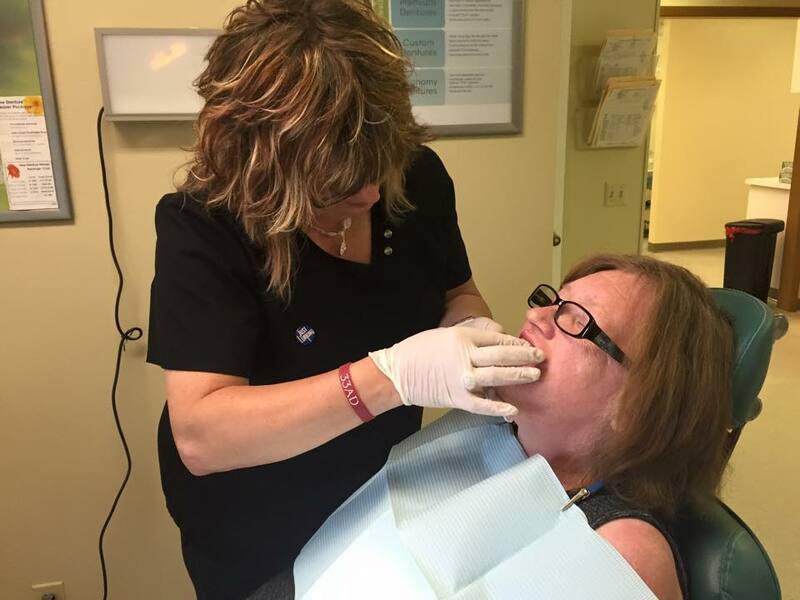 We are proud of you Sandi! Founder Jane Stephenson teaching the Appalachian literature class, a part of the curriculum of all NOSW program sites. 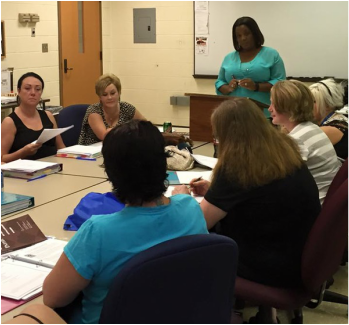 NOSW women participating in one of several classes during the three-week residential program. 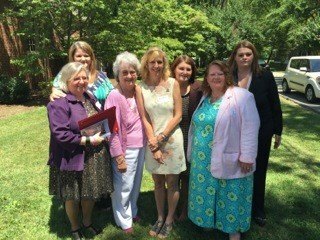 NOSW at Lees-McRae College with Jane Stephenson, Founder of the NOSW (pictured in the center of the row). 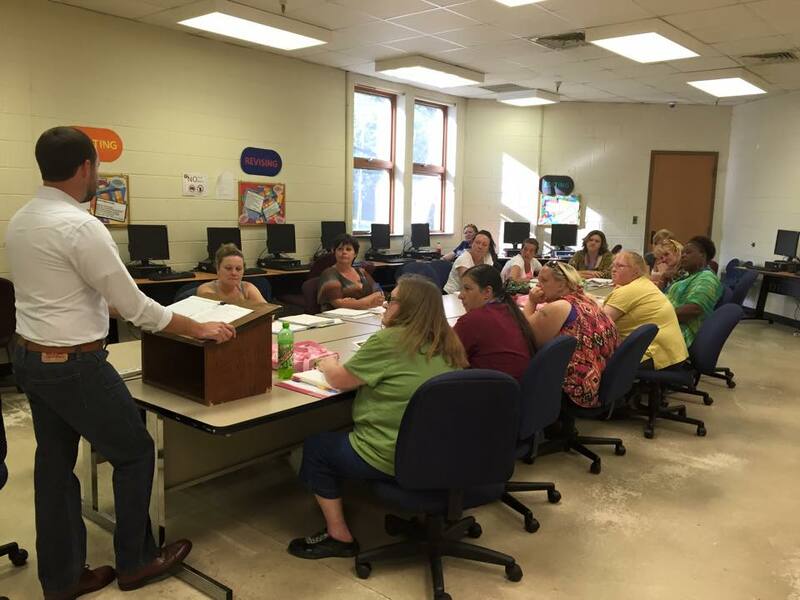 NOSW at Maryville College, TN, Summer 2015 Class. 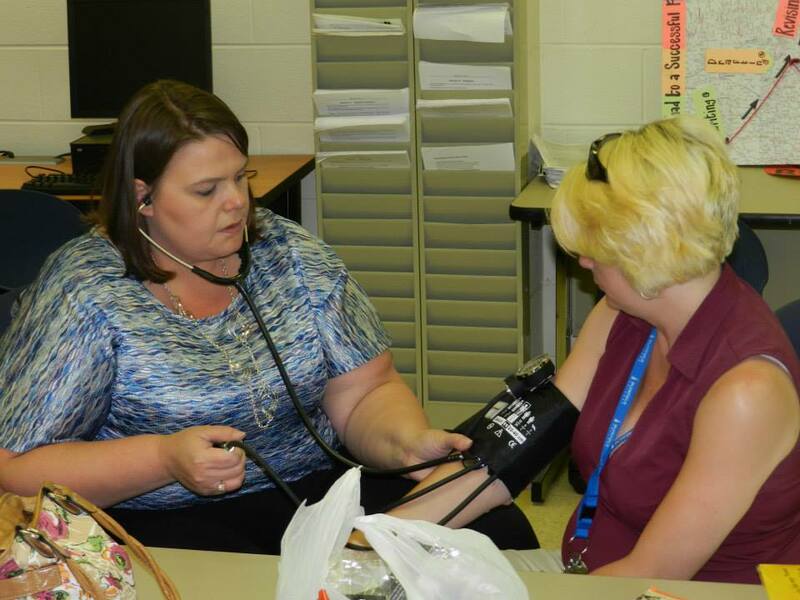 NOSW Berea graduate is happy in her success. Congratulations on your achievement! 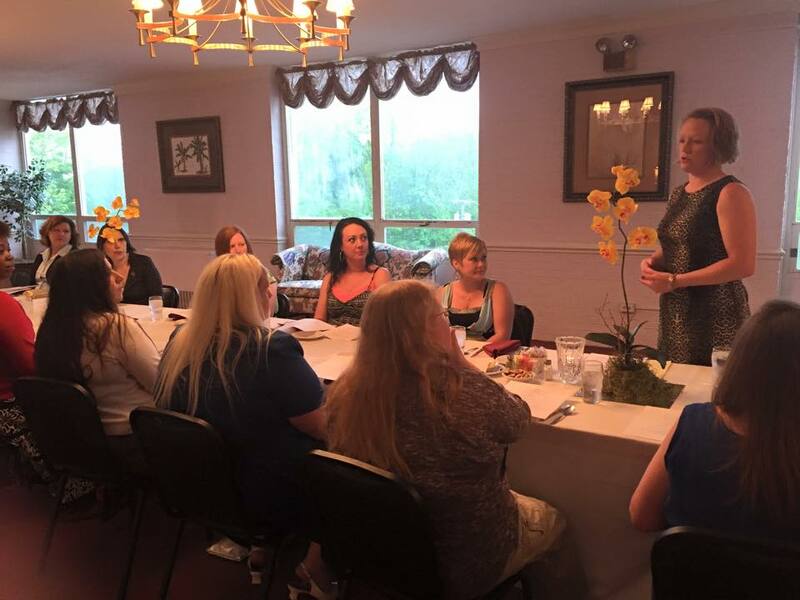 NOSW Bluefield women enjoy dining etiquette and a delicious meal. Thank you supporters, contributors, donors and friends. 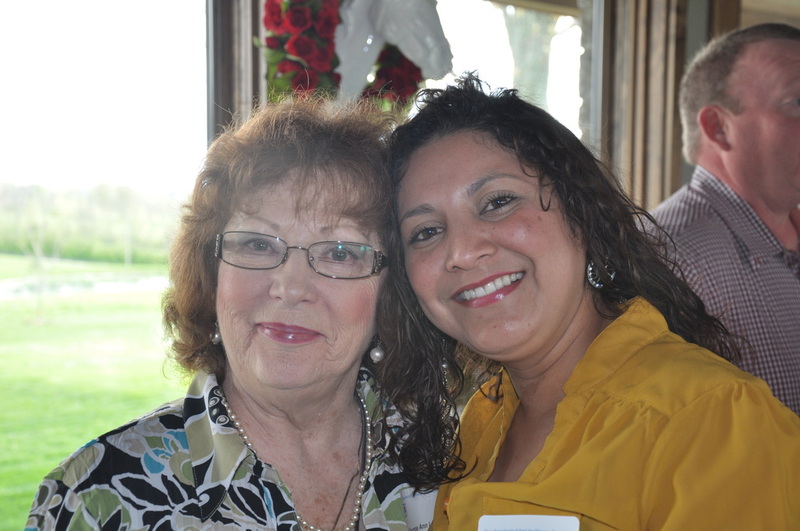 The New Opportunity School for Women Foundation needs your support. Please help us to continue to improve the lives of Appalachian women in need.